OPEN HOUSE SUNDAY, JUNE 3RD 2-4PM! Agents MUST click here to register your clients 48 HRS PRIOR TO SALE!!! We have been commissioned to sell at Absolute online only auction the real estate of the late David P. Bailey. No minimums, no reserves! The property will be sold to the highest bidder! 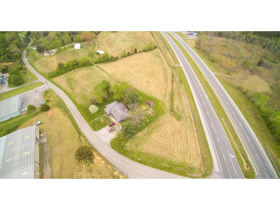 It is our pleasure to offer to you at auction this beautiful property that lies between West Lamar Alexander Parkway (a major 4 lane Highway) and South Union Grove Rd, Friendsville TN 37737. There are 7 parcels totaling 30.02 acres of gently rolling land, approx 1300+/- feet of highway frontage on West Lamar Alexander Parkway AND frontage on S. Union Grove Rd! 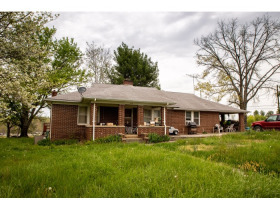 There are 3 homes on the property, an older brick home on the corner parcel situated on 3.80 acres, a recently remodeled home, and a doublewide mobile home. Most of the property is zoned Commercial. The wooded acreage tract is zoned R-1 residential. 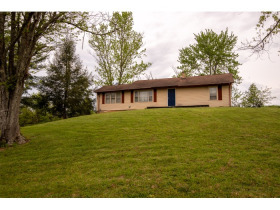 Close to the Knoxville Airport, Maryville and Lenoir City. 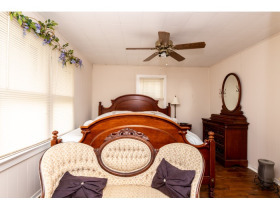 Only 45 minutes away from Pigeon Forge and Dollywood, nestled in the foothills of the Great Smoky Mountains. 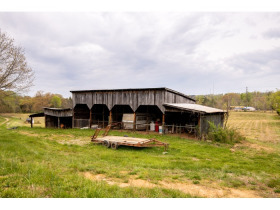 If you've been looking for highway frontage for your business, farm or home, this property has it! High visibility on a major 4 lane highway. There is also an implement shed on the property. Tract 1: 565 South Union Grove Road. Zoned Commercial. 3.80 acres with a brick home built in 1942, 1450 square feet, central heat and air conditioning. Features approx. 571.89 feet of frontage on West Lamar Alexander Parkway and 290 feet of frontage on South Union Grove Road! Tract 2: 543 South Union Grove Road. Zoned Commercial. Home on .96 acre lot, built in 1950, recently remodeled with central heating and air conditioning. 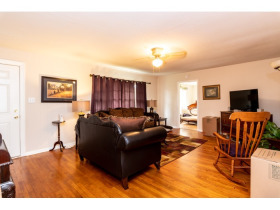 The home has approximately 1288 square feet of heated space with an enclosed porch. Tract 3: 547 South Union Grove Road. Zoned Commercial. 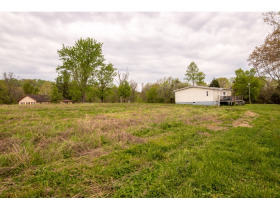 This tract features 5.19 acres, with a doublewide mobile home built in 1991 with central heating and air conditioning. It has about 310.09 feet of frontage on West Lamar Alexander Parkway (Hwy 321), and 197.28 feet of frontage on South Union Grove Road. It also has the implement shed on this property. 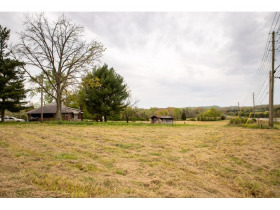 Tract 4: Tract 4 on Union Grove Road consists of 5.77 acres of mostly wooded gently rolling acreage. There is approximately 258.18 feet of frontage. It is zoned R-1 for residential use. Tract 5: Tract 5 consists of 5.19 acres with 413.25 feet of frontage on West Lamar Alexander Parkway ( Hwy321). Gently rolling with a lot of possibilities with this tract! Zoned commercial. 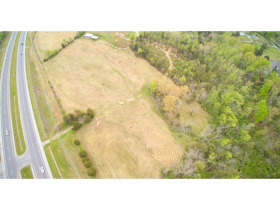 Tract 6: Tract 6 lies on the North side of West Lamar Alexander Parkway (Hwy 321) with 5.02 acres. It is situated beside of Uncle Dave's Market Kenjo convenience market. Zoned Commercial with approximately 450 feet of frontage on the highway. 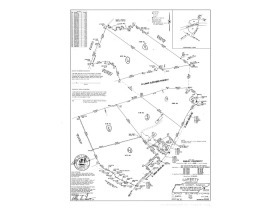 Tract 7: Tract 7 lies north of West Lamar Alexander Parkway (Hwy 321). Zoned Suburbanizing with 4.09 acres, shares a property line with tract 6. It has approximately 320 feet of frontage on the highway. Terms on Real Estate: 10% Buyer's premium added. 10% Non-refundable deposit due day of sale with remainder due in 30 days or less. Sold AS-IS, buyer to have all due diligence taken care of by sale date. See instructions online. Possession of the real estate to be given at closing. Houses built before 1978 may contain lead based paint. All newspaper or other publications and all oral and verbal statements as to advertising made by owners of said property and by DeLozier Auction Inc., or any agent of said company, or by Jerry DeLozier or by Kevin Ross, are hereby revoked. ALL ONLINE BIDS ON THIS AUCTION STARTS AT the appointed advertised date and time, AND WILL START ENDING at the appointed advertised day and time. All times are EASTERN TIME.  AUCTION END TIMES: DeLozier Auction, Inc. Online Auctions are timed events and all bidding will close at specified time. DeLozier Auction, Inc. Online Auctions also have an auto extend feature. Any bid placed in the final 5 minutes of an auction, the auction ending will be automatically extended 5 minutes from the time the bid was placed. Example: if an auction scheduled to close at 2:00 receives a bid at 1:59, the close time will automatically extend 2:04. The auto extend feature remains active until no further bids are received within a 5 minute time frame. DeLozier Auction, Inc. reserves the right to adjust the auto extension time period. THE FINAL SALE OF THE PROPERTY USING INTERNET BIDS/MAX BIDS WILL DETERMINE THE WINNING BIDDERS OF PROPERTIES AS ADVERTISED. BID PACKAGE: Auction Sales Contract along with any other paperwork pertaining to the sale will be sent by e-mail from DeLozier Auction Inc to the successful bidder who must execute and fax or email back to DeLozier Auction Inc. within 24 hours of receipt. Successful bidders not executing and returning their contract with earnest money deposit (10% non refundable deposit of total purchase price (certified funds or wire) made payable to DeLozier Auction Inc.) within 24 hours of receipt will be considered in default and subject to an Administrative Fee (as defined below). All Administrative Fees are non-refundable. The entirety of the remaining balance is due at closing. Purchaser shall be responsible for all wire transfer fees and closing fees as set out in Auction Sales Contract and Auction Statement of Sale. non-refundable. If you have not read and reviewed the Auction Sales Contract, Promissory Note, Statement of Sale and all other materials available plus completed your own “due diligence” to satisfy all questions, please Do Not Bid! Caveat Emptor applies to all auctions, so have all your due diligence completed BEFORE the auction. DeLozier Auction Inc, is providing internet/online bidding as a service to Bidder. Bidder acknowledges and understands that this service may or may not function correctly the ending day of the auction. Under no circumstances shall Bidder have any kind of claim against DeLozier Auction Inc. or anyone else if the internet service fails to work correctly before or during the ending of the auction. DeLozier Auction Inc. will not be responsible for any missed bids from any source. REMEMBER, this is an Absolute Auction and all sales are final. Do not bid unless you are prepared to pay appropriate deposit and meet all conditions to close as set out in your contract. Bidders must be ready, willing and able to close within 30 days. Please do not bid if you do not understand the auction terms.